Hail Damage Estimates / Quotes – When the dents are counted up and priced and the R & I and other expenses are added up, this paper is called an estimate. After damage to your vehicle, one thing that might stress you out would be the quote. 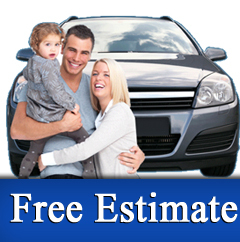 Most hail damage estimates are performed free as a courtesy in hopes of being chosen to repair your damage. Auto hail damage estimates can be a lot of money, but you are not going to know until after everything is added up. There is a lot to look at, like insurance and overall damage, so this might take a while. If everything works in your favor, you may not pay a lot of your own money for a repair job. This is not always the case, however. It depends on what happened, what your insurance covers, and various important factors. Understanding what changes the price will give you the chance to prepare for your hail damage estimate. When your vehicle is damaged, it is never fun and it can come with a lot of added stress. After something severe, you may lose a lot to repairs. You are going to need to put the body back into its previous or original condition, after all. The vehicle needs to be in a drivable state, which might cost a lot of money. While scratches might be a small cost, body damage that is all over would go up in price a lot. 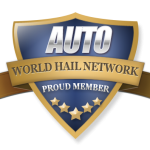 Receiving an auto hail damage quote will give you an idea of how much you are going to pay. Some hail damage can be removed without any need for painting. This process id known as Paintless Dent Repair (PDR for short). Other damage may have cracked your paint or debris might have left scratches which will need to be repaired conventionally. Moldings, lights and other car parts may have been damaged as well. If your sunroof, windshield or other glass was broken, you may also have interior damage. An adjuster is going to completely look over the body and see just how much damage was done. They are going to need to get an idea of exactly what went on before getting to work. Inspecting the vehicle visually will help them develop your quote. They are going to need to look at the full picture and then add up everything that happened. They will count the dents in each panel and calculate the size of the dents to come up with price for each panel. If the price for PDR exceeds the replacement cost, a new panel will be added to the estimate instead of the PDR price. When the damage is counted up, there is going to be focus on risk and insurance. This is going to show your coverage and get an idea of how much that the insurance is going to pay. Depending on your history and choice of coverage, the amount can cover quite a bit. It is different for each individual, of course, and you should make sure that you have everything prepared before something like this happens. Your responsibility will be whatever the deductible is as long as you have comprehensive insurance on the vehicle. Often initial hail damage estimates are written low. This means that if you have $3,000 worth of damage, they may only see $2,000 when writing the first quote. When this is the case, a supplement is often needed when the repairs are actually performed. Any other necessary expenses will receive the proper attention, as well. If it is going to cost money, it is going to be added to the quote. This might not always be such a large addition to hail damage estimates, but they are going to add up. All of these costs become your quote. The auto hail repair estimate is going to be based on several things and it is usually an accurate estimate of what you (and the insurance company if applicable) are going to end up paying. While things may change when looking deeper into the damage and the vehicle, you can usually count on it to be about the same as the estimate. If you want to lower how much money that you are paying, then be prepared. The best way to do this would be to have your insurance cover this damage so that you are not paying everything out-of-pocket. The first step in obtaining a hail repair quote is usually through your insurance company. They may send an adjuster out to inspect your car or they may require you to drive the vehicle to their Catastrophe Center. You can also get a quote from a local body shop or collision center. A paintless dent repair company is another great resource to get accurate hail damage estimates. Since they are typically the ones performing the repairs, they usually have the best eyes and lights to spot all of the damage and get it correct the first time.